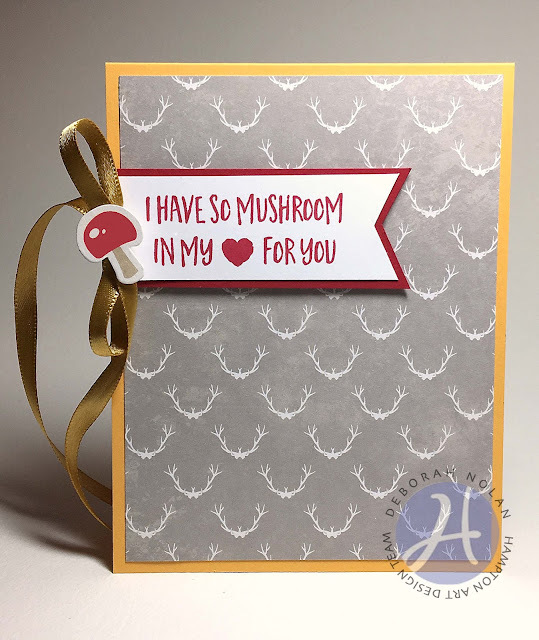 Today's card features Jillibean Soup's Mushroom Medley collection! Cut 4" x 5.25 PP panel and adhere to card. Cut white panel, cut out notch, and stamp with sentiment. Adhere white sentiment panel to red panel, trim 1/8" around, and adhere to card. Adhere mushroom Pea Pod Part to bow's center.